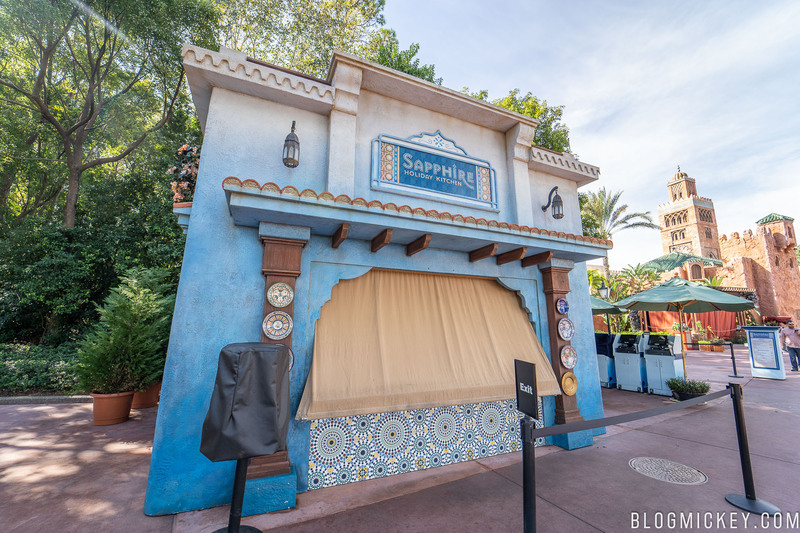 We continue our 2018 Epcot International Festival of the Holidays reviews with the Sapphire Holiday Kitchen in the Morocco Pavilion. The grilled lamb kefta kebab comes served with cucumber, olives, tomatoes, mint yogurt sauce, and harissa-cilantro dressing sitting atop a whole wheat pita. The grilled lamb was cooked wonderfully – a slight crunch outside and a soft interior. Speaking of the lamb, we really wanted more. 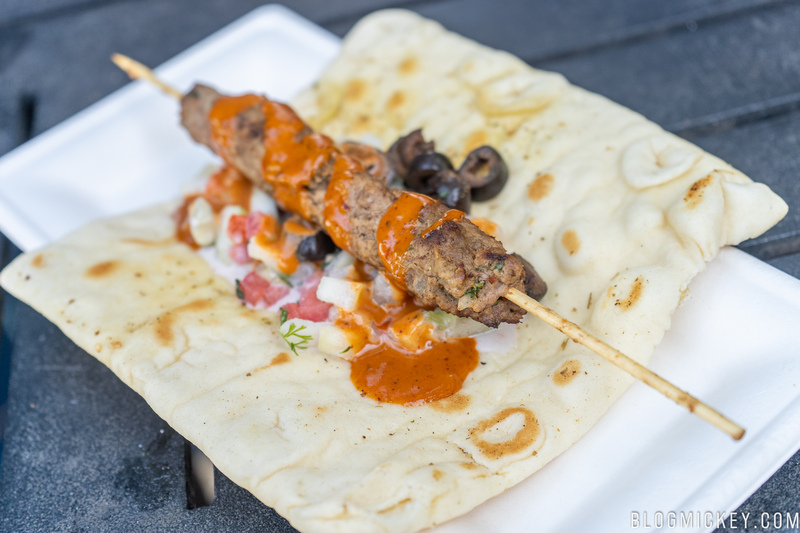 A second skewer would catapult this dish to a top five list at the festival, but the single skewer set atop the large pita left us in a bit of a no man’s land. We had too much pita, just the right amount of accompaniments, and too little grilled lamb. As far as the accompaniments go, we enjoyed the contrast of the mint yogurt sauce and harissa-cilantro dressing. While a second skewer would make this a “must buy” item, we can still recommend this dish, as is, for your trip through Morocco. The next offering from the Sapphire Holiday Kitchen is the confit of chermoula chicken drum. 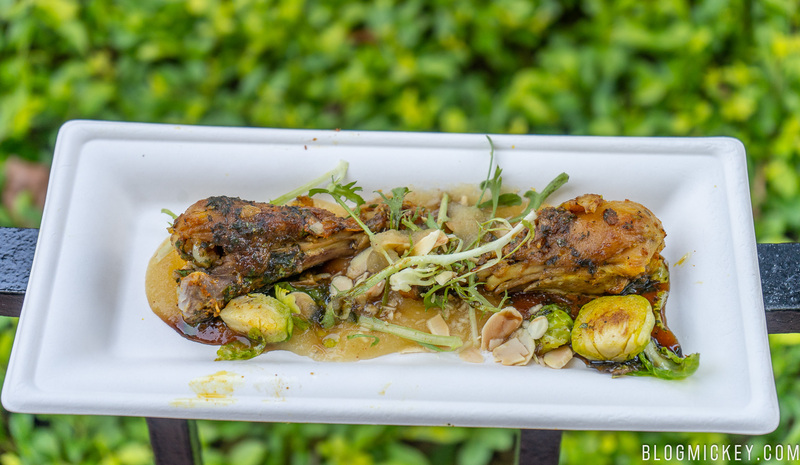 Joining the two drumsticks is cinnamon granny smith apple, toasted almonds, brussels sprouts, and pinot noir syrup. This is quite the dish. The two drumsticks are only a small part of the overall package. The sides are smartly aligned. We have some earth flavors thanks to the toasted almonds and brussels sprouts, and some sweet flavors from the granny smith apples. There is a contrast of flavors that really works well here. Again, $8.00 is probably a dollar or two too much, but we can recommend this dish as well. 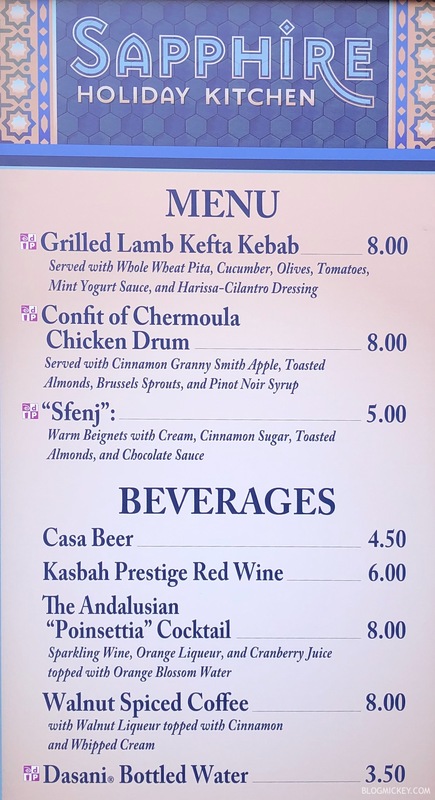 Rounding out the excellent lineup of offerings at the Sapphire Holiday Kitchen is the “sfenj”. Two warm beignets are served with cream, cinnamon sugar, toasted almonds, and chocolate sauce. This is an impressive dish. 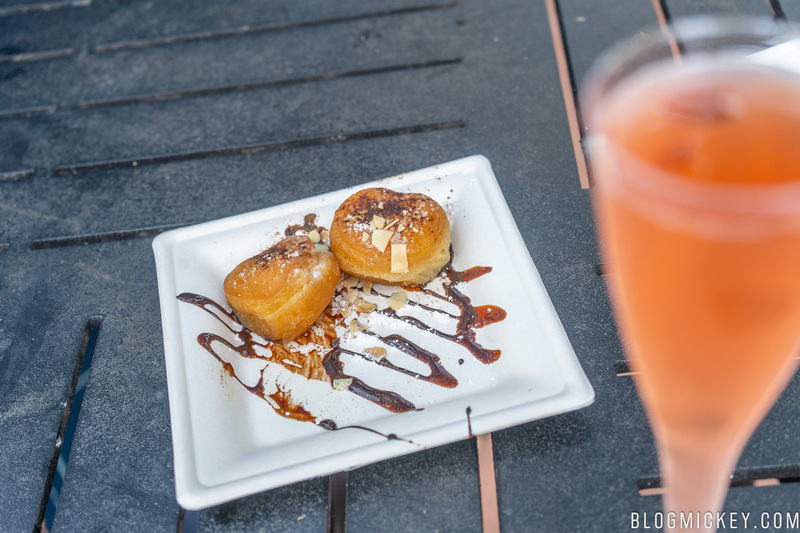 The beignets are just structured enough to smile for the photo, but impossibly airy and light at first bite. 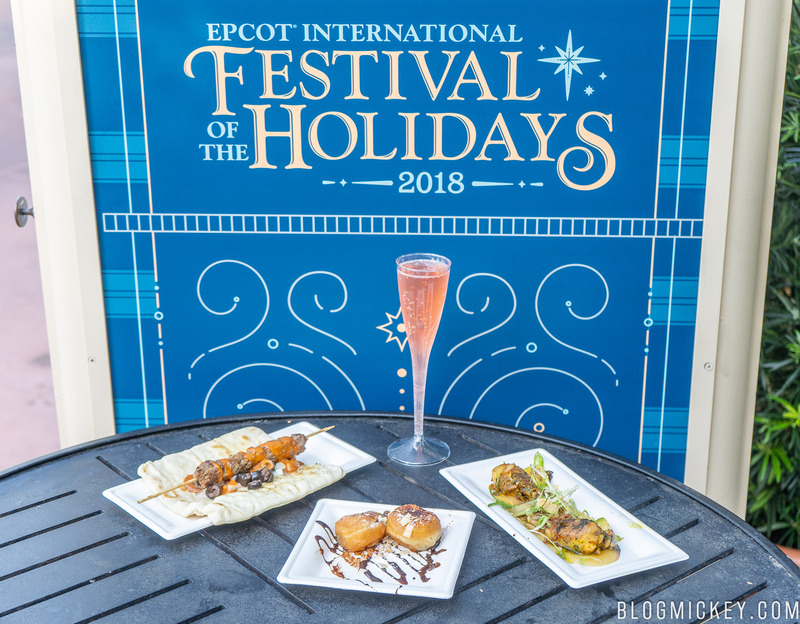 These are as close to a must-do as you’ll find and while the $5 price tag continues the trend at Sapphire of “a dollar or two too much”, we can definitely recommend these as a top five dessert at the festival. 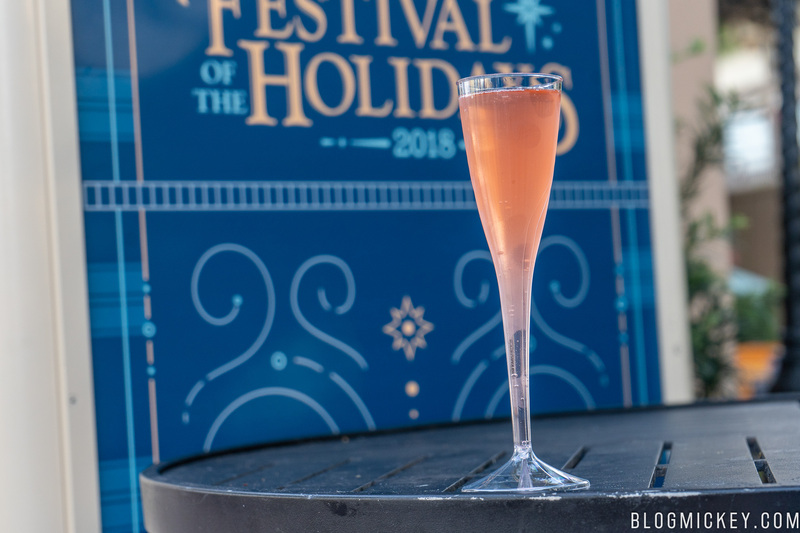 The Poinsettia lives up to its name, with a flowery flavor and aroma coming through. We’ve heard nothing but good things and want to add our voice to the masses that are recommending this drink.